As of Wednesday (24th February 2016), these new AMP pages have gone live and are now appearing in the SERPs. The roll out seems gradual, so it may take a little time to show globally. Published: Feb 24, 2016. 13:25 +0100. In October 2015, Google announced a new open source initiative called Accelerated Mobile Pages (AMP). As of Wednesday these new AMP pages have gone live and are now appearing in the SERPs. The roll out seems gradual, so it may take a little time to show globally. 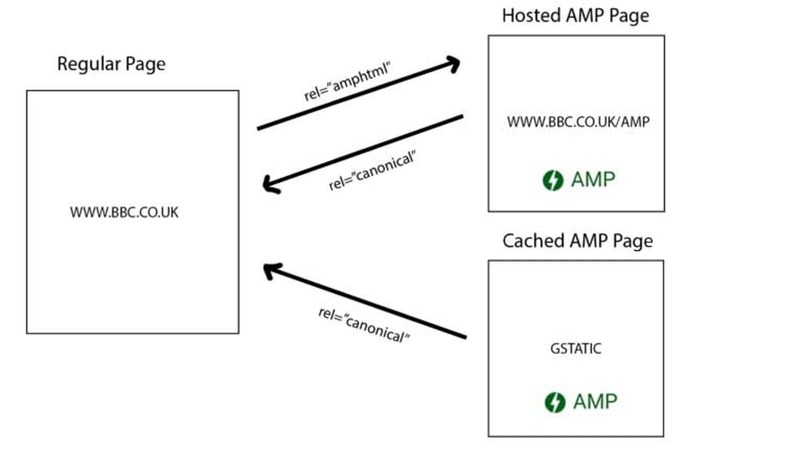 Cached AMP Pages — Where AMP coding standards are implemented correctly, Google will take a copy of the AMP page and cache it at multiple locations around the world. This means the page renders extremely quickly for all users, no matter where they are based. You will find a more detailed technical summary of AMP coding requirements here. AMP implementation. © The Webmaster. We expect to see many Content Management Systems roll out plugins or integrated support for AMP in the near future that will take care of much of the technical aspects. For example, it is worth checking out the WordPress Plugin AMP, which was created by Automattic (the team behind WordPress.com). Search result AMP - Lightning Bolt Source: Screenshot. The current roll out is targeting “News Articles”, so you will need to ensure that your pages are properly marked up with the News Schema. However, the intention is “ for all published content, from news stories to videos and from blogs to photographs and GIFs, to work using Accelerated Mobile Pages “. We can see the scope of AMP increasing significantly throughout 2016 as more features and functionality is added (i.e. better ad coverage \ analytics support), and it is implemented by more and more publishers. With mobile usage continually increasing, and the new AMP News carousel reserved for publishers who have implemented Accelerated Mobile Pages, it will become a necessity.